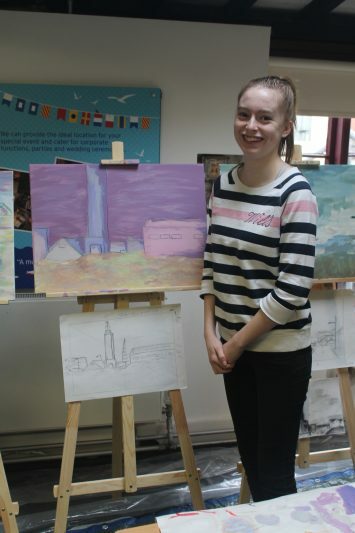 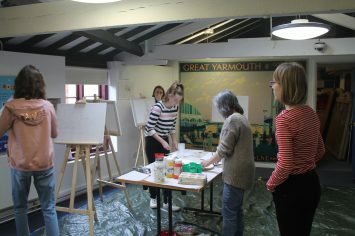 Fine artist Katarzyna Coleman led a two-part Masterclass based at her studio in Great Yarmouth for the Art&Design Club held at East Coast College and Tide + Time museum. 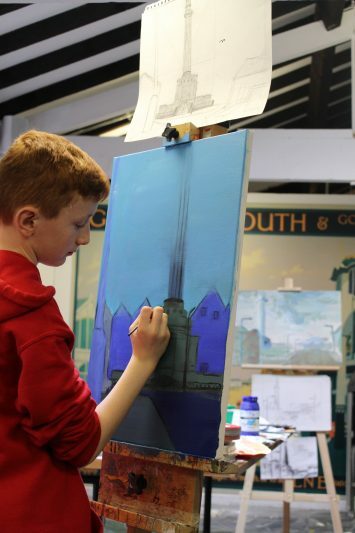 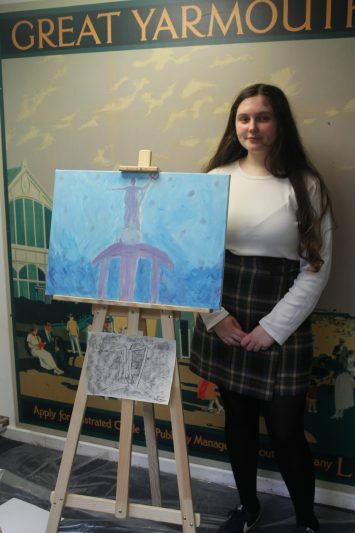 For the first session, Katarzyna took the young people to Nelson’s Monument, located in an industrial area of the seaside town, where she guided them in an observational drawing class. 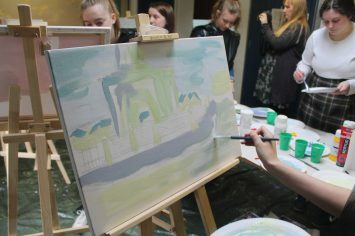 In the following session, the Club members translated the charcoal and pencil sketches into acrylic paintings on canvas, learning lots of valuable techniques from Katarzyna in the process. 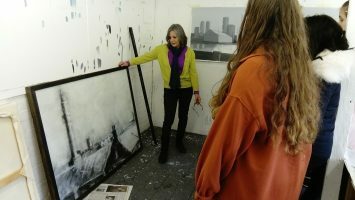 The group really enjoyed the experience of working with an artist in her studio.